She received her first camera 40 years ago, a Kodak Instamatic, and shortly after she became the designated family photographer because she was the only person who never cut off people’s head or feet. She graduated to a Canon point and shoot, then DSLR, and now shoots with her Canon 6D full frame and loves it. To this day, she is rarely ever in a family photo, although she prefers landscapes and nature over portraiture photography. Haunted by the allure of point breaks and powder days, steep creeks and tall peaks; she is a hunter-gatherer of natural light and candid moments. with an appetite wet with a taste of the unknown and the smell of home, she wanders a path paved by open minds and trusting eyes, guided by willing feet… …and a desire to bring you with her. This has never happened before… great work Tom! Read below to learn more about our Tom and his photos! My wife and I are from Bothell, Washington and been filming eagles now for over 40 years. 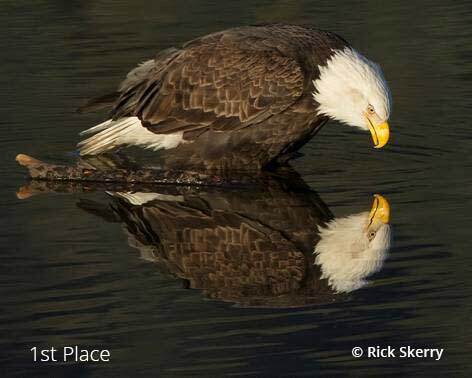 My interests in photography and especially eagles started in Glacier National Park in 1973. After a long hike and sitting on a bank of a small lake when suddenly this beautiful large bird dropped right in front of me with this small fish in her claws. 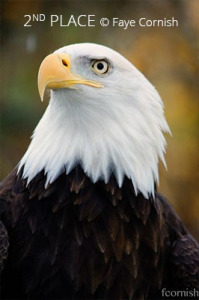 It was the American bald eagle. From that day forward I always had a camera in my hands when traveling. 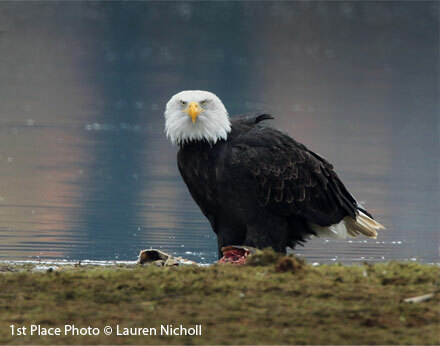 My wife and I have traveled thousands of miles and taken thousands of photos of bald eagles. 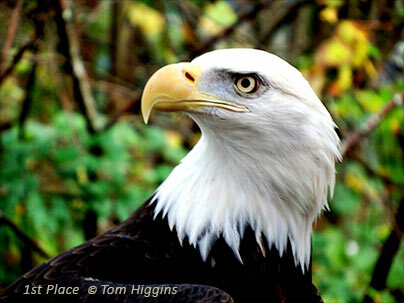 We’ve been coming to Fraser Valley area for over 15 years now just to film eagles. To be picked as the winner of 2017 contest is a great honor after so many years. What also makes this year special is for the first time, my wife and I had the opportunity to watch and film a pair of bald eagles mating. Both eagles were talking to each other, when suddenly the male eagle mounted the female from the back. The copulation took place on a tree limb near the nest. It was a great feeling to see and view life being made. People will ask what attracted you to photography. The main reason would be because memories tend to fade away in the human minds BUT the ones that are captured, are ones that you can always relive. Not only can you keep these memories, you can also have a better view of the beautiful sights that the world keeps hidden from millions of eyes. About Betty: Betty Englehart moved to Lake Errock a few years ago. 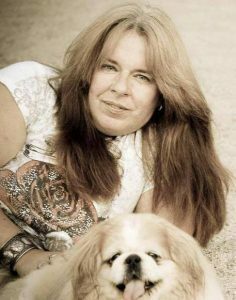 She currently manages the Harrison Bay Resort / Store and Lake Errock Post Office. 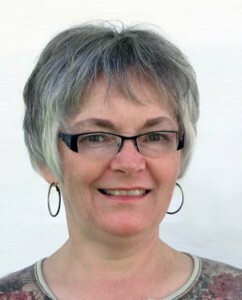 Betty is an energetic person who enjoys the outdoors, gardening, painting, playing darts and cribbage. 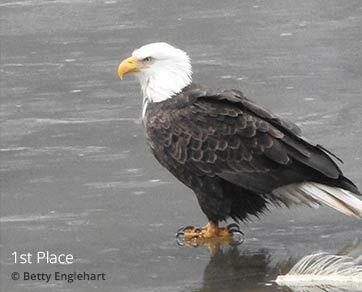 She started taking pictures of the eagles in the area to share with family, friends and new people she meets every day. Now she refers to taking a picture as a way to unwind and relax; she likes going out for a walk and watch the eagles fly over the bay, diving to get a fish or just sitting in the trees relaxing. She is amazed by the number of people that are surprised to see and hear the photos she has taken are from the Lake Errock area. Betty purchased a new camera as a Christmas gift to herself last year. She is looking forward to taking pictures and learning more about the exciting features her new camera has to offer. 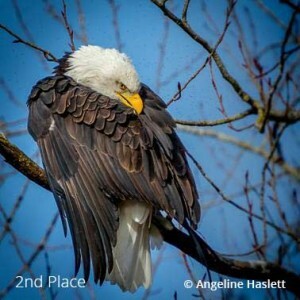 About Angeline: Angeline Haslett has lived in her home in Harrison Hot Springs for the past 14 years. She bought her first digital camera last year, after her youngest child moved out of the family home. Since then it has been her quest to learn and use the camera every chance she gets. 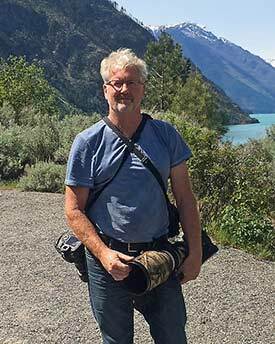 After joining the Chilliwack Camera Club and the Canadian Association of Photographic Arts, Angeline and her husband Ed, have been enjoying every form of photography. They have shot weddings, children and families, wildlife, birds, landscapes, cityscapes, and close ups. Prior to this, Angeline lived over 10 year on Vancouver Island. Bull Harbour, Alert Bay and Ucluelet were all once called home. She has always loved the outdoors and hiking. 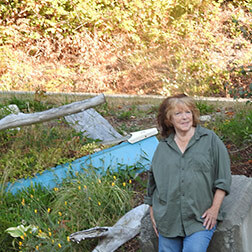 Even though, trained as a teacher, Angeline considers herself a naturalist. She is very knowledgeable about Flora and Fauna. This usually can be detected in the subject choices of her photography. About Rick: Rick took up photography as a hobby in the 1980s using a Voightlander rangefinder and a Mamiya SLR. Having always loved being out in nature, his interest in photography naturally evolved in that direction. 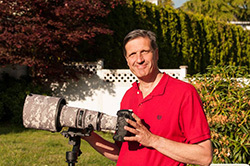 Rick began to focus on birds 6 years ago and his backyard garden has given him unlimited opportunity to observe and photograph them at close range when not out photographing birds in their natural habitat. 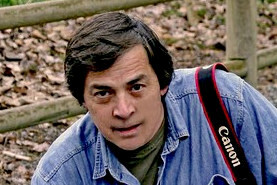 Photographing birds has become the prime focus of his work. 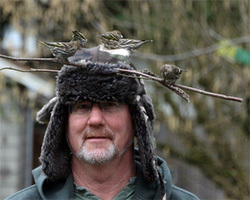 Rick now uses Canon gear and produces calendars yearly of both backyard birds and birds in BC. About Danny: Born: Toronto, raised in Montreal. Moved to Toronto 1977, relocated to Vancouver in 1980. Current residence: Birch Bay WA. 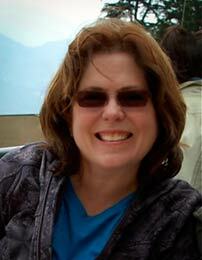 Occupation: Information Technology Specialist – Western Washington University. My extracurricular interests were first, coaching rep hockey, second, photography. After 24 years of coaching (including 18 years AAA teams), I rediscovered my passion for photography. I have an eclectic taste in music, art, etc., and, likewise, photography. I consider myself an advanced enthusiast who occasionally does semi-professional works. The Pacific Northwest is a diverse rich ecosystem that harbors a wide range of plants and wildlife in and amongst the mountain ranges, lakes, forests, and rivers. 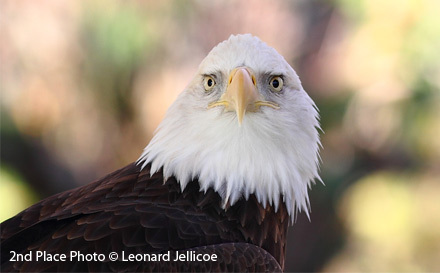 Included in that wildlife, there are eagles! During a 2009 weekend discovery excursion of the area, by happenchance I ventured into the Harrison Mills area. 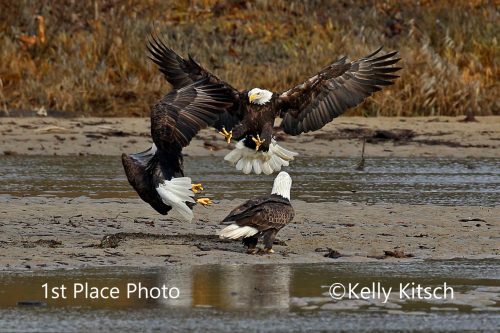 It was in Kilby during the Fraser Valley Eagle Festival that I met Jo-Anne and Rob Chadwick of Fraser River Safari Tours who conduct eagle viewing tours. In association with the tours is guide/biologist David Hancock. During one of the tours I witnessed a kettle of over 100 eagles circling in a thermal! I have since returned to the area annually. You never know what you will witness. Some of my pictures taken during the tours and in the Harrison Mills area have been featured in local papers, online magazines and BCAA magazine. I am also a contributor to the annual Hancock Wildlife Calendar. Hope to see you on the river and surrounding areas. AboutFaye: The first few years of my life were spent on Canadian Military bases in several provinces. After my father’s retirement, we settled in Burnaby, BC and I have been a resident of the lower mainland for many years. Photography has always been a passion on mine and about 5 years ago I decided to really embrace it. It helps you to look at the world in a different way and keeps the creative juices flowing. 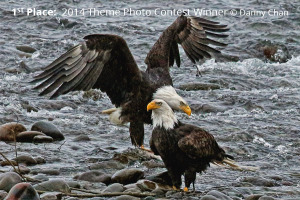 Nature/Landscape photography is what I enjoy the most and the Fraser Valley Eagles Festival fits right in there. 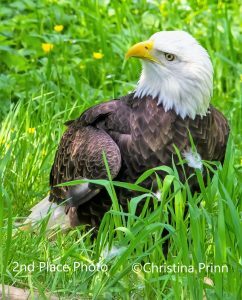 I have been going to the Fraser Valley Bald Eagle Festival for the last 3 years and it continues to fascinate me every year. My first encounter was a David Hancock tour on the Fraser River Safari Tours. What an experience! 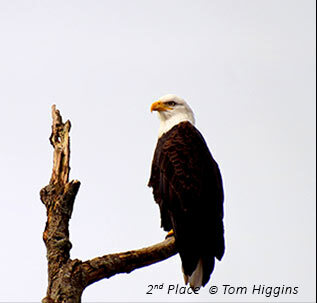 The number of eagles, the landscape of the area, the knowledge shared – it is something not to be missed. I would like to thank everyone who organizes this event. You are truly sharing a gift with us. About Christian: I was born in London, moved to many countries all over the world and now live near Vancouver, Canada. My interests in photography and especially eagles started in November 2011. From then onwards I was hooked. In November I went to the Fraser Valley Eagle Festival and was overwhelmed by the nature and density of eagles. During the next months I improved my technique in both photography and image processing. Since I live in White Rock, I am able to frequently contribute to the Hancock Forum as a ground observer with visits to the beach where many eagles can be admired. 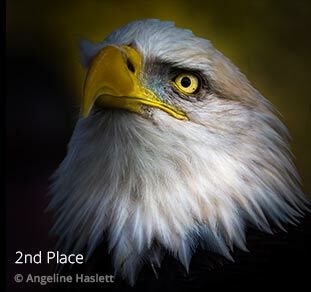 My friendship with David Hancock and numerous enthusiasts of the Hancock forum has been most helpful and I was able to learn a lot about the behavior of eagles. My curiosity in photography was also enhanced by my background in astronomy (I own several telescopes) and my PhD in optics. I photograph everything from the millimeter scale (flying bees in high resolution) to eagles and galaxies as well as quasars billions of light-years away. About Rick: Rick Skerry was born in the Fraser Valley and grew up enjoying tramping around the bush and exploring the outdoors. He took up photography as a hobby in the 1980s using a Voightlander rangefinder and a Mamiya SLR. Having always loved being out in nature, his interest in photography naturally evolved in that direction. 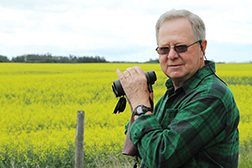 Rick began to focus on birds during the last four years and his backyard garden has given him unlimited opportunity to observe and photograph them at close range when not out searching for raptors and owls in the wild. Being a member of APAC (Abbotsford Photo Arts Club) as well as being out in nature learning on the fly helped improve his photographic skills. Photographing birds in their natural habitat has become the prime focus of his work. 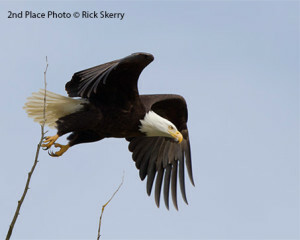 Rick now shoots with a Canon and has produced calendars of both backyard birds and birds of the Fraser Valley. About Lauren: For as long as Lauren can remember nature has always been a part of her life. 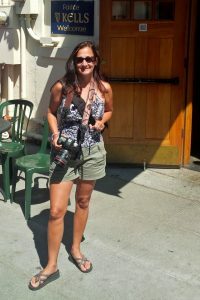 A resident of North Vancouver, BC, she travels around metro Vancouver and the Fraser Valley capturing moments in time with her camera. Her favorite subject to photograph are birds and enjoys having the opportunity to spend time with them watching their fascinating and intriguing behaviors. Her photograph skills are self taught, striving to improve spending countless hours reading and perfecting her techniques. 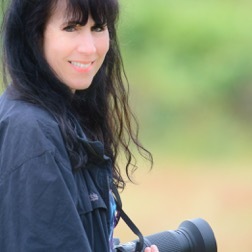 Her photographs have been published in Canadian Geographic Collector’s Edition Magazines 2011 Best Wildlife and Best Wild Weather Pictures 2012, as well as Reifel Bird Sanctuary Calendars and Nature in Focus 2010 Calendar. 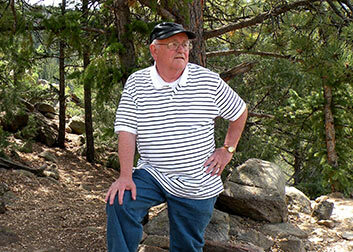 About Leonard: Growing up in Northern Alberta in the 1950’s, Len spent much of his formative years in the outdoors. This led to an early appreciation for nature. Len decided to take up photography as a hobby 5 years ago as he found he was so good at golf no one would play with him. (Just kidding). Being retired it provided an opportunity to keep occupied and an excuse to travel. It also offered an opportunity to combine his passion of bird watching with the camera. The portrait of the eagle was taken at the FV Eagle Festival of 2009. 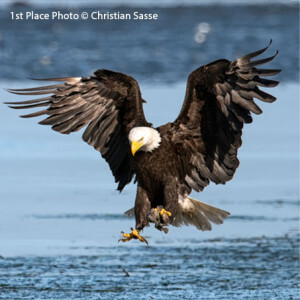 Learn More About our Annual Festival Photo Contest!